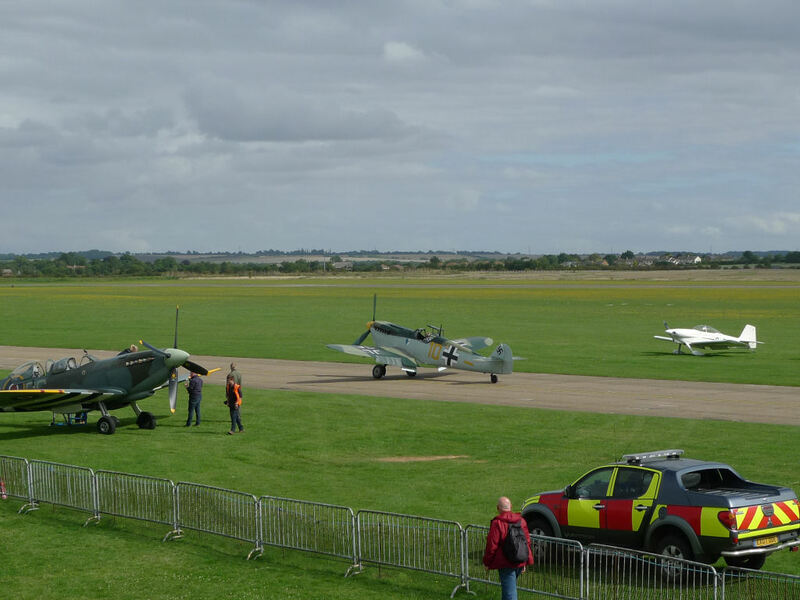 A while ago I saw something on the internet about flying alongside a Second World War Spitfire. 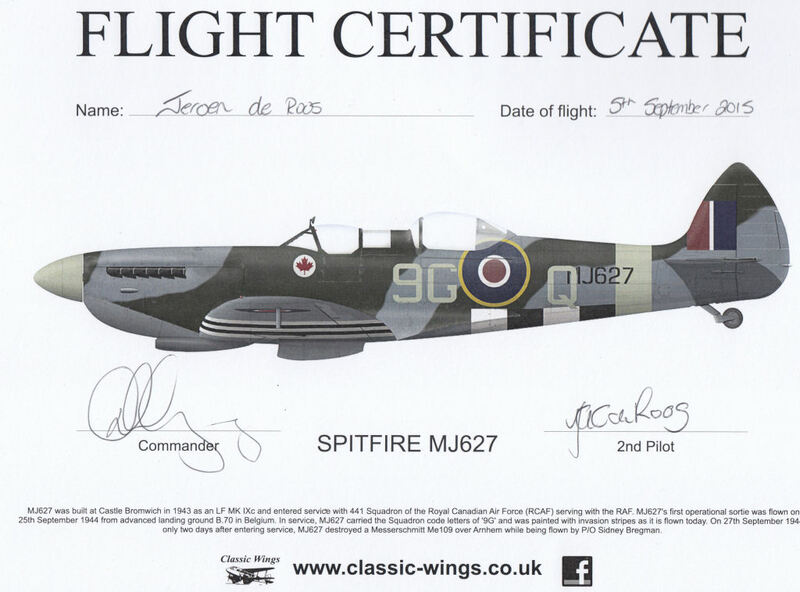 As a Spitfire nut I thought this would be a fantastic thing to do. 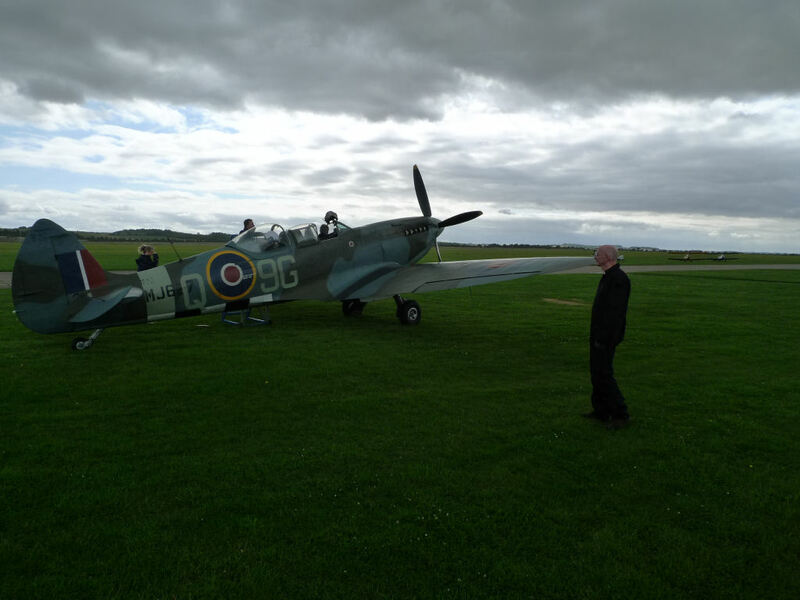 Later I saw something even better: flying ín a Spitfire. This I simply had to do. 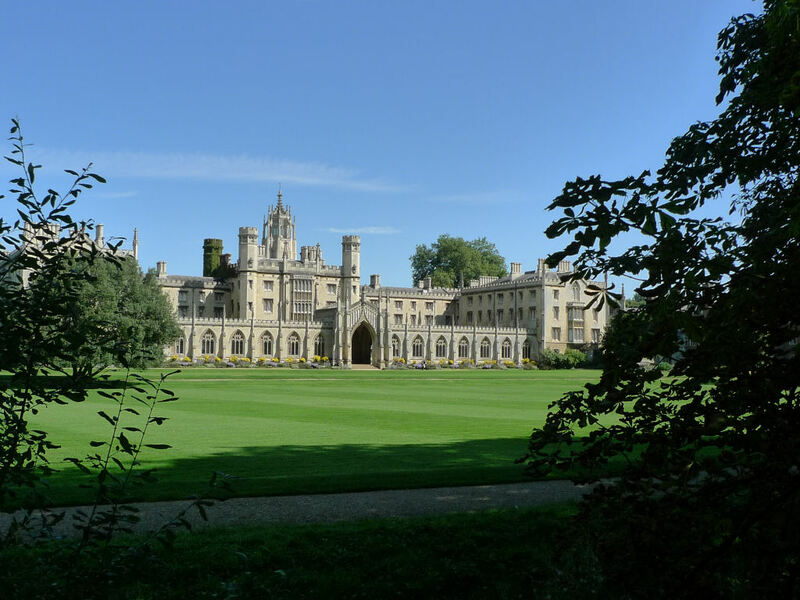 So I made an appointment and went to England. Early, very early, this Friday I picked up Pim who was willing to be my camera man during the event. We parked my car at Schiphol and checked in. It's been a while since I've flown and all bad memories came back. Waiting, waiting and more waiting. Being regarded as a terrorist and not allowed to take more than 100ml liquids with you. This latter I had forgotten and so they impounded my deodorant, douchegel and toothpaste. When I bought the stuff new in England I saw that the toothpaste had a content of only 75ml, so there was no reason to take it from me. I've written a complaint and expect nothing from it ;). Why must it be so difficult to board a plane when there's absolutely no problem getting on a boat or train? Next time I will take the train again to England. Better having to travel for three hours than waiting the same time on a godforsaken airport. When we finally arrived at Stansted we picked up the rented car. I'd rented a small car because it was cheaper and because I thought it would be safer since I've never driven a car on the left side of the road. To my surprise they were out of small cars. 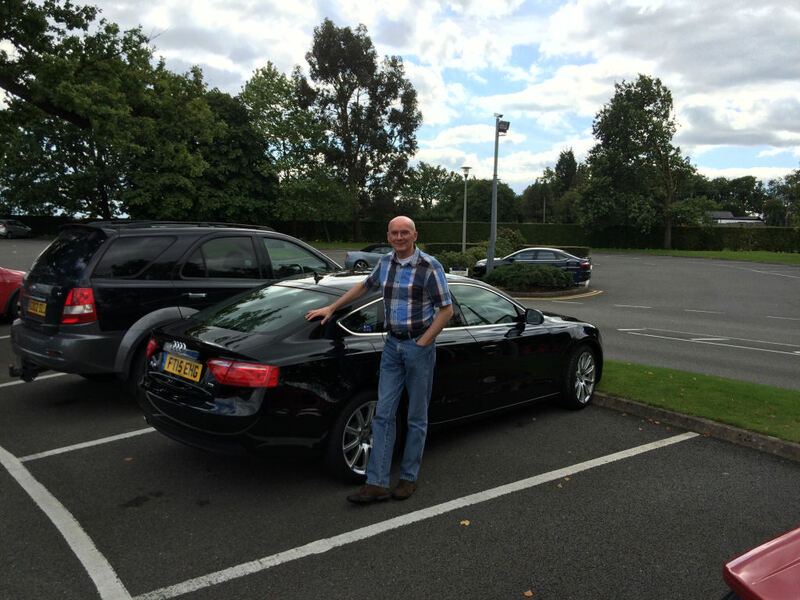 For a small fee I got upgraded to an Audi A5 Sportsback. Not the little car I planned, but it was a beautiful and comfortable car. 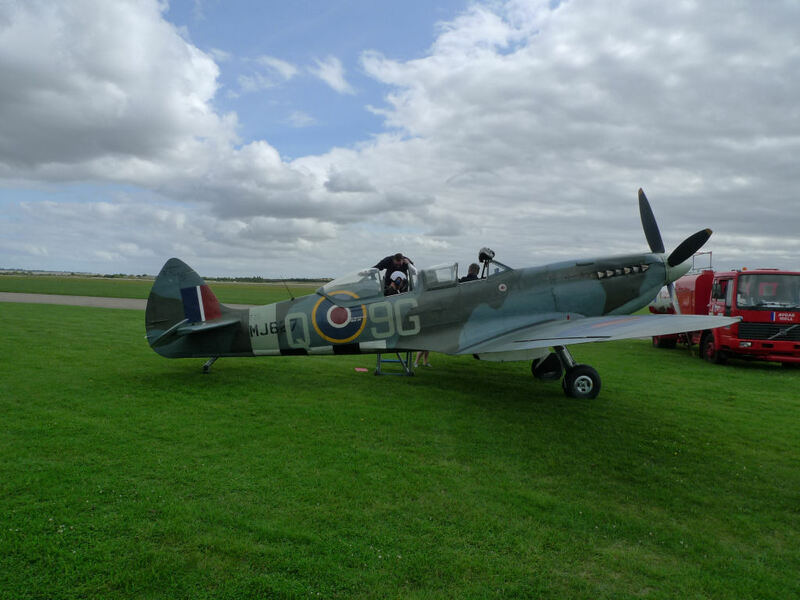 The flight with the Spitfire was on Saturday, so we had the Friday to do other things. 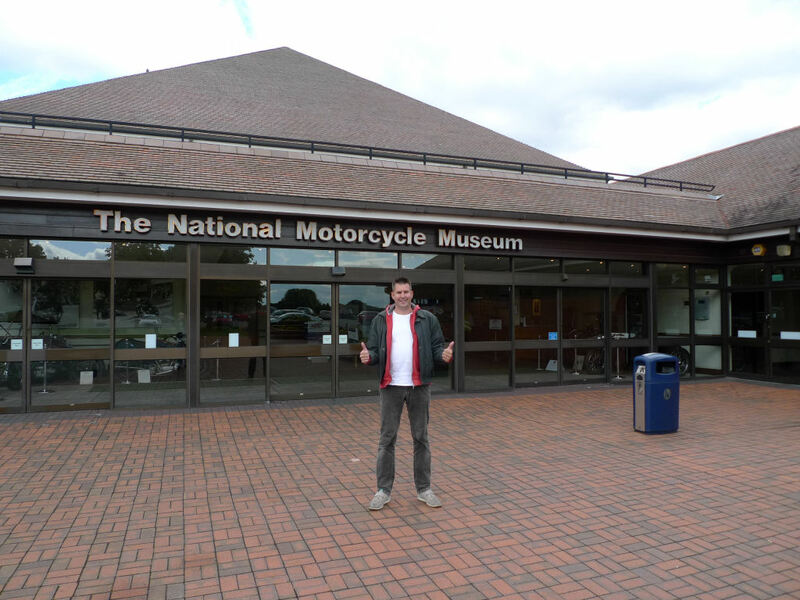 We decided to go to the National Motorcycle Museum near Birmingham. It was a two hour drive from Stansted, but with the A5 this was not a problem. At the museum we first had lunch and then we went to admire the collection. 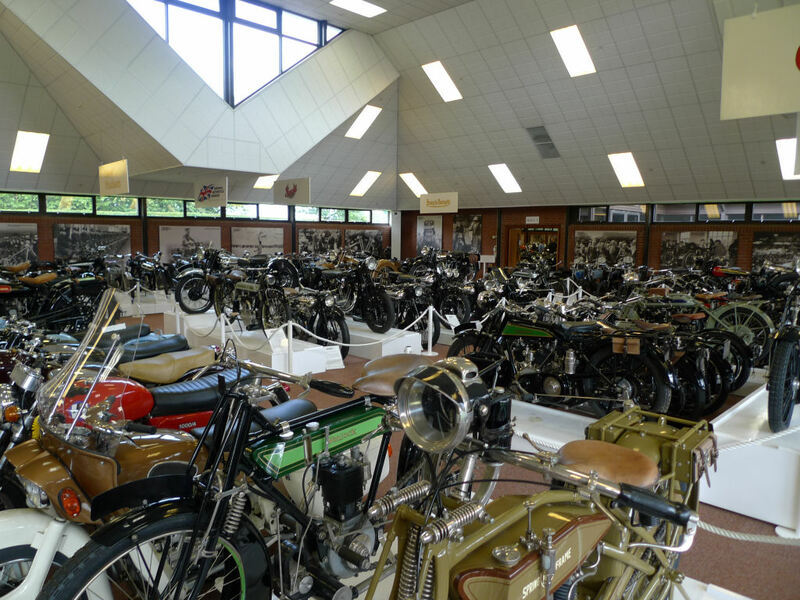 The bikes were all restored to an almost like new state. 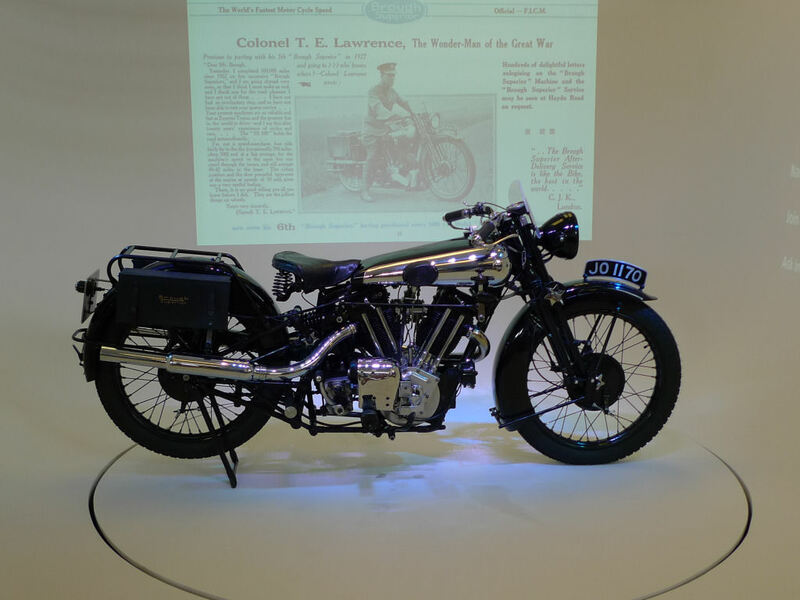 They looked all great and there were very special bikes amongst them. All British by the way. 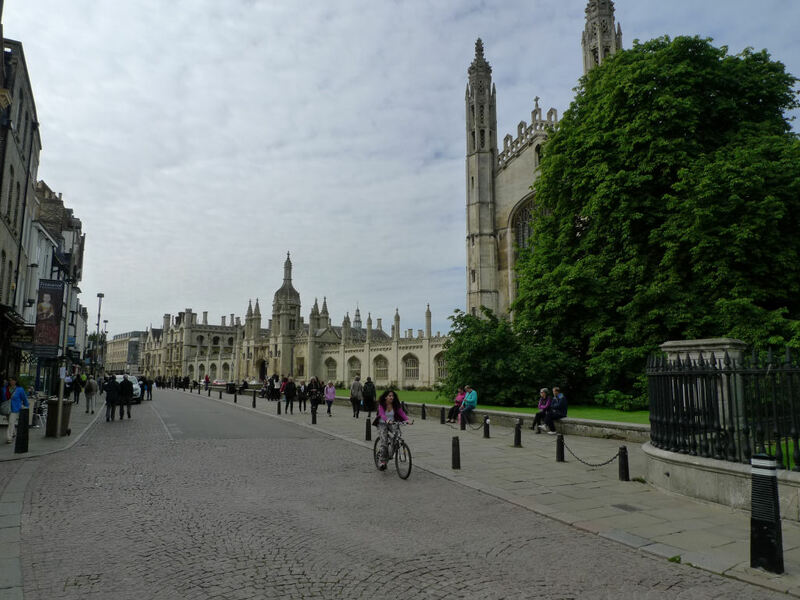 After a couple of hours we decided to go to our hotel in Cambridge. It was the nice Bridge Guest House. Simple, cheap, and not too far away from the city center. The Saturday started with rain... Happily on our way to Duxford IWM it stopped raining and the weather got better by the minute. Seen the amount of money I had to pay for the flight I expected a sort of vip welcome, but instead we had to queue like any other visitor. Of course no problem. At the control tower I got a briefing of one hour together with another flyer. We were told about the riscs and how to get out of the plane in case of an emergency. My turn was in a couple of hours so Pim and I went to see the exhibitions. When it was about time we went back and I got dressed in a jumpsuit. 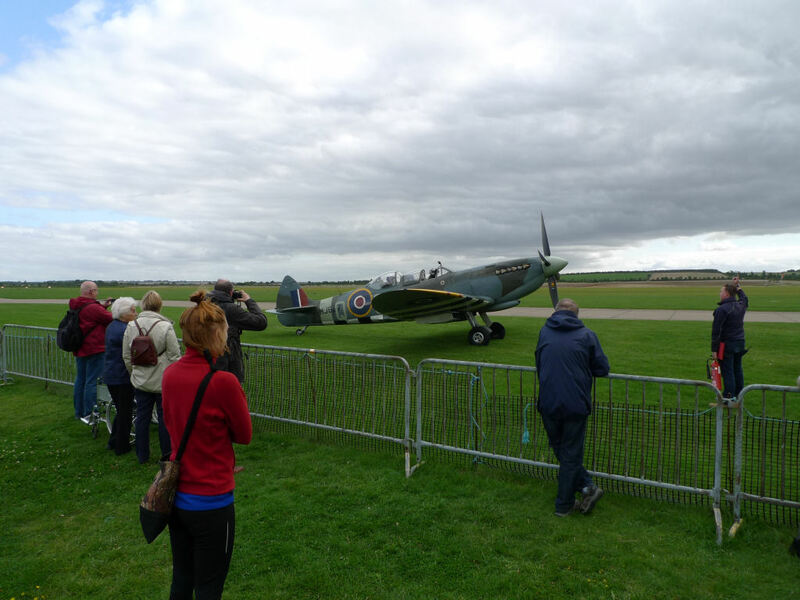 We went out and saw the Spitfire returning from the flight with my fellow briefer. 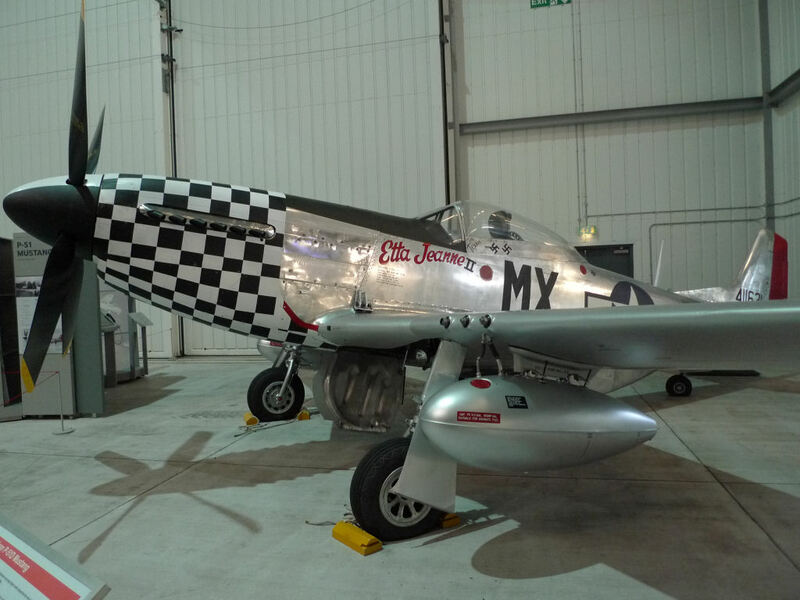 This Spitfire has, by the way, a very interesting history, e.g. it has seen real action and shot down a ME109 above Arnhem. While Pim was filming and photographing everything I climbed in the Spitfire and was strapped down into the parachute harness and into the seat. I got a headset and a funny looking helmet. Regretfully not a real pilots helmet. In front of me were the instruments and when I looked out I could just see the rearview mirror of the pilot. Since it had been a trainer all the controls were double implemented. Before the start I had a little conversation with the pilot. At one moment he asked me something I probably misunderstood. I thought he asked 'have you flown IN an airplane? 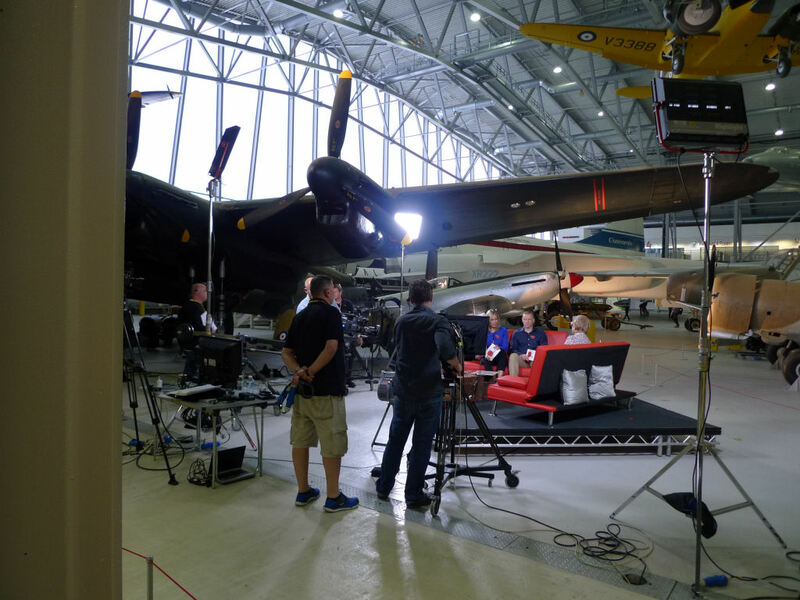 ', when I think back he probably asked 'have you flown a plane?'. Two very different things. Anyway I answered 'yes', thereby making the pilot think I could fly a plane... This explains the instructions I got from him in the air 'turn 30 degrees left', 'turn 20 degrees right'. Huh? 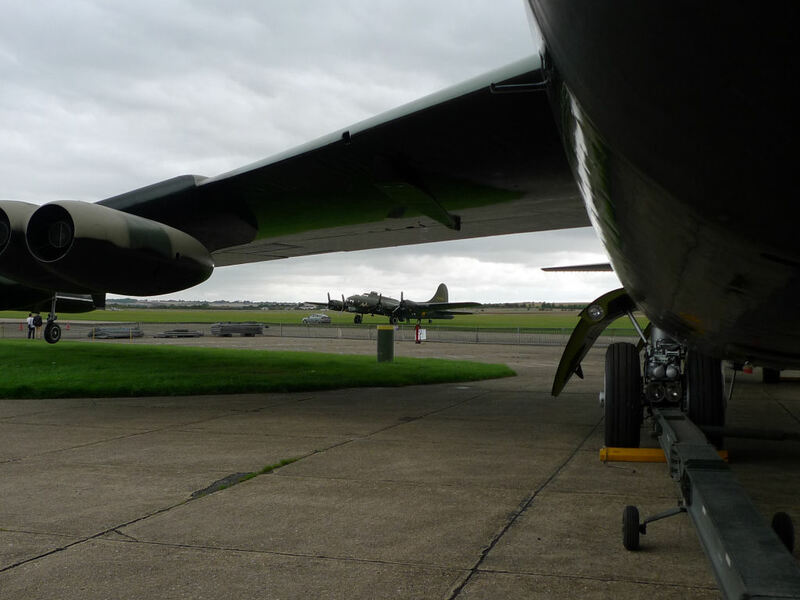 After some last instructions from the pilot about radio communication and what would happen when raising the undercarriage (some noise...) the big Rolls-Royce Merlin got started. The headset silenced noises from the outside pretty well, so I couldn't fully enjoy the sounds of the engine. The pilot opened the throttle and we taxied to the runway. 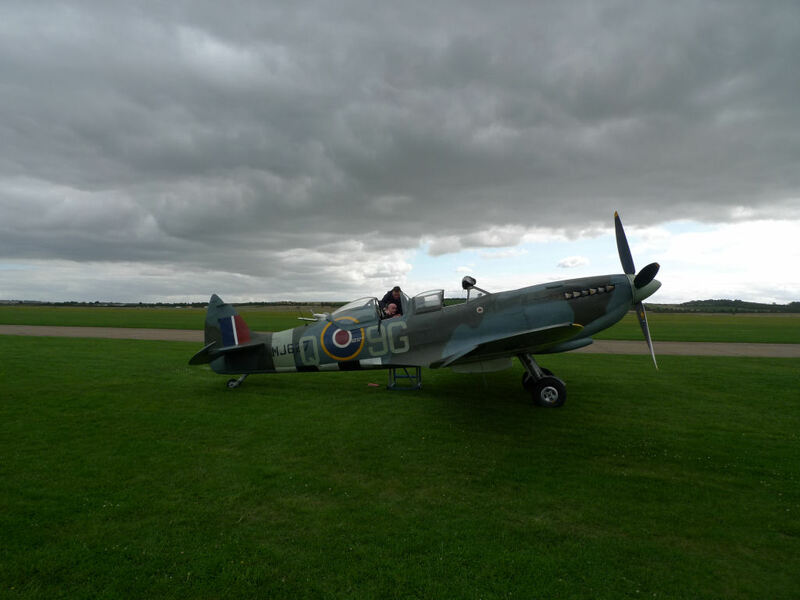 Here the pilot opened the throttle full and within a few seconds we were airborne and I was flying in a Spitfire! A dream come true. When we were at altitude the pilot asked if I wanted to take over the stick. Ehhh, yeah! 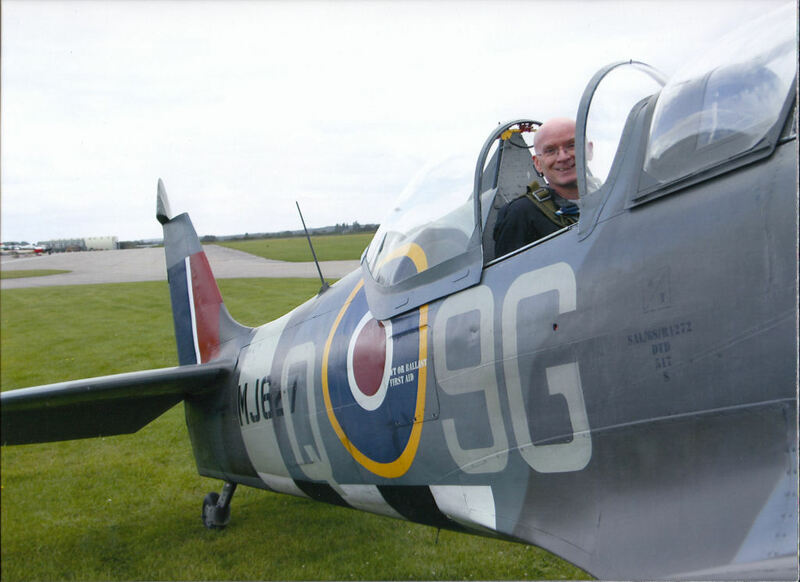 The controls of a Spitfire are very sensitive and carefully I made some turns and changed altitude. Since I couldn't see outside in front of me I used the artificial horizon to see if we were straight and level. 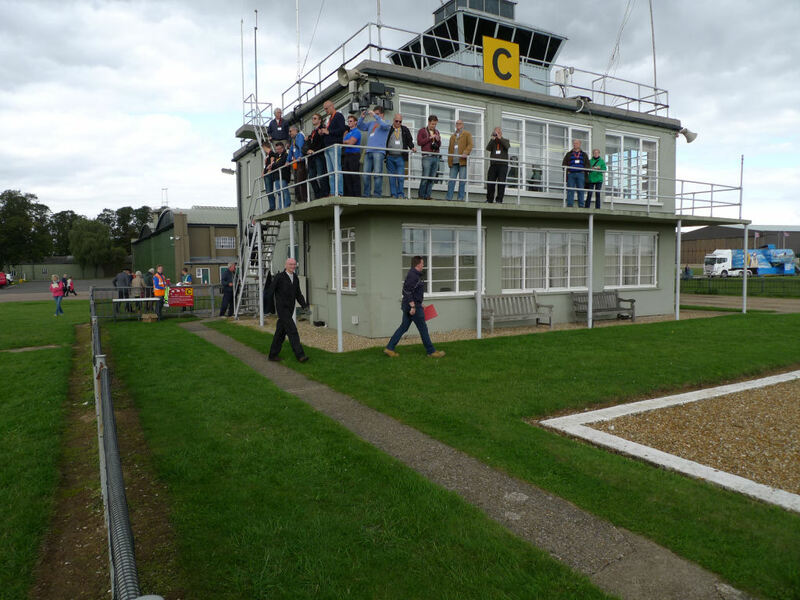 The pilot pointed out some places were WW2 airfields had been, but I couldn't detect them and didn't bother much, I was flying a Spitfire! On our way back the pilot made a victory roll which upset my artificial horizon. It got stuck for a while. 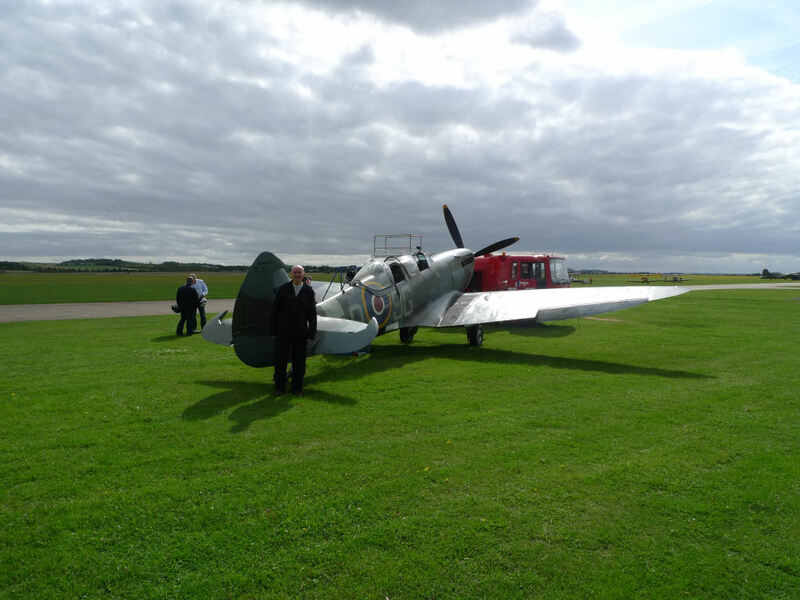 The landing was very smooth, we taxied back and reluctantly I climbed out the Spitfire. Another item scratched from my bucket list. The remainder of the afternoon Pim and I visited the rest of the museum and around closing time we went back to Cambridge. Here we had a nice dinner at Jamie Oliver's Italian. Due to some misunderstanding we had to wait for two hours before we could get a table, but it was worth the waiting. Thus ending a very special day. After a late dinner at Burgerking I brought Pim home and got home myself around midnight.